Back to my old hobby, I’m going to show you how to remove / delete an HTML element via jQuery. (I now came back to write what I’ve encountered along the way with my work, especially in web development). Now, if the user clicks the delete button, we must know which row is clicked and then get the div id. 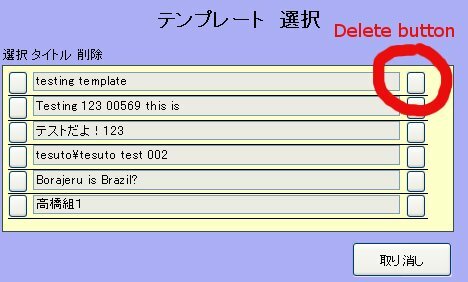 As you’ve noticed, each delete button is suffixed with a number, ex: btn-del-0, which means it is the button under div#row_0. We will bind the click event of the button to our function. btn-del_0, btn-del_1, btn-del_2, therefore the base name is btn-del and the indexes are the numbers. Underscore is the indicator that the next character is an index. So we have this function which returns an object example: result.base is the base name and result.index is the index. We bind the click event of delete button to a function in jQuery. This binding happens when the document is ready $(document).ready(). Then since we are binding many buttons, we need to get what row is that button for? Then we ask the user if he/she really wants to delete it. That is just how it was simple in jQuery. Hey, yoshi. I have read your comment in my dashboard. Thanks for commenting. However, it seems I have a problem with my server / host . It seems that the Comment moderation did not work. I’m trying to resolve this issue right now. Anyway, regarding your comment, I discovered that parent thing in jQuery a little bit late. Next time, I will be using that style. Your post will appear when I’ve fixed this wordpress bug. Lol! That trick works, now your comment finally appeared. Thanks for visiting my blog bro!